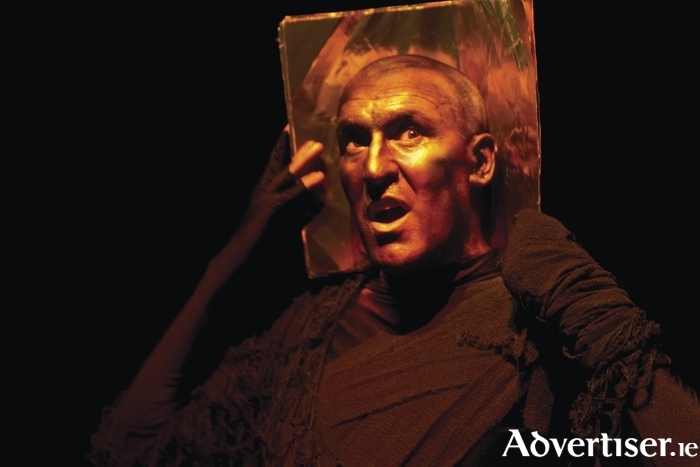 WRITER AND performer Pat Kinevane comes to the Town Hall Theatre on Tuesday, June 23, at 8pm with his latest acclaimed solo play, Underneath. Presented by Fishamble Theatre Company and directed by Jim Culleton, this remarkable piece premiered in December 2014 and is now on a national tour. Underneath is a blackly comic, rich, and vivid tale of a life lived in secret, a testament to the people on the fringes, under the noses of everyday life. It explores the surface and what lies underneath. After she is struck by lightning as a child, a woman grows up disfigured. Sticks and stones did not break her bones, but words and pointing crushed her. Is beauty really only skin deep, or does ugliness hide somewhere deeper? Kinevane’s relationship with Fishamble began with his first play, The Nun’s Wood (1998 ) and continued with The Plains of Enna (1999 ). In 2006, Fishamble produced Pat’s first solo play, Forgotten, followed in 2011 by his second solo play, Silent, both directed by Culleton. I ask him whether he views the three solo plays as a trilogy and if they have elements in common. Kinevane is a native of Cobh. He has worked as an actor in theatre, film, television, and radio for 25 years. Both his previous solo shows have been performed extensively throughout Ireland and internationally, and Silent was an award-winner at the Edinburgh Fringe. He tells me about the creative dynamic that has sustained his long and fruitful partnership with director Jim Culleton.